"Even though the Mission Operations Centre is located in a single room, that does not mean the hardware supporting [its] operations are located in that facility. The hardware is in several locations distributed throughout the JHUAPL campus," explained Griffiths. "Subsystem Engineers are able to view data from their offices, however the spacecraft commanding is only permitted from within the MOC." In 1999 Griffith was awarded the Spacce Operations & Support Award, by the American Institute of Aeronautics and Astronautics, for "exemplary performance in recovering the NEAR spacecraft, conducting an unplanned Eros flyby, and successfully placing the spacecraft back on course for rendezvous with Eros." In that instance, which began almost exactly 18 years ago, the Near Earth Asteroid Rendezvous (NEAR) spacecraft executed the first major deep space maneuver, a two-part burn of the main 450N thruster as the spacecraft attempted to achieve (and eventually did achieve) orbital insertion around the near-Earth asteroid Eros. Griffith told us that "the New Horizons Mission is primarily a UNIX driven Ground System." "Hardware is purchased by the appropriate vendors and modified by the New Horizons Ground Systems personnel (hardware and software) to accommodate the specific needs of the mission." "As mentioned above, the Ground Systems equipment is utilised for all aspects of the mission from preparing commands for the spacecraft to processing the data that is received." The command sequences to operate the spacecraft and its instruments are generated by staff at APL and the Southwest Research Institute (SwRI). The mission's Tombaugh Science Operations Center (SOC), located at SwRI in Boulder, processes all instrument data for the science team, and is already producing data archives for the scientific community and public at large. New Horizons is never going to return to Earth. 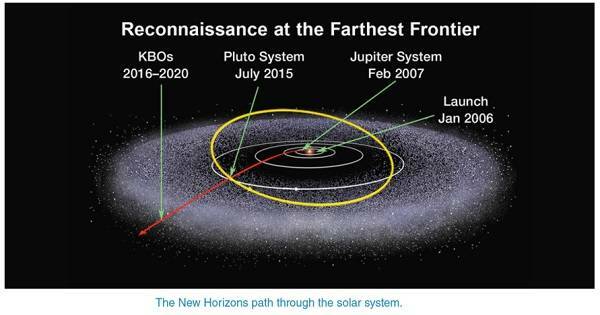 It is on a one-way journey past Pluto, to the Kuiper Belt and beyond. As it will be unable to return to Earth, the spacecraft must send back all of its data using a radio transmitter and its 83-inch (2.1-meter) diameter radio antenna. It receives commands over this link, and returns both science data and information on the spacecraft's temperature and power. All commands sent to the New Horizons spacecraft must first pass a rigorous development and review process to ensure the safety of the spacecraft. The science team works closely with the instrument mission operations and spacecraft teams to develop the commands that trigger New Horizons' scientific activity. 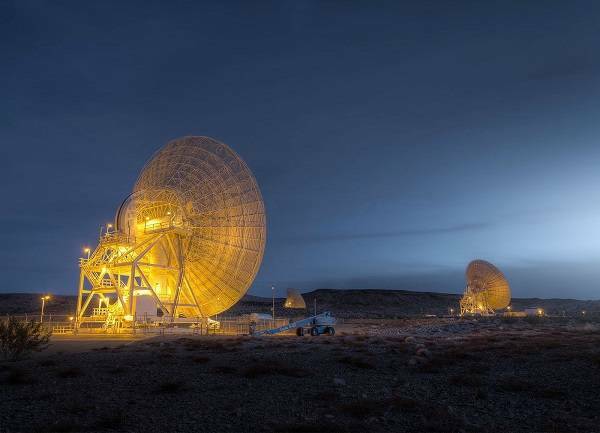 After the command sequences are tested on the ground, they will be sent by the Mission Operations Center to NASA's Deep Space Network (DSN), which is operated and managed by the Jet Propulsion Laboratory in Pasadena, California. Joe Peterson, New Horizons' science operations downlink lead at SwRI, explained his team's work to The Register. We asked Peterson if his work was really due to begin following the flyby, and he explained that "actually, for me it began in 2003. That is when I started to develop the 'Science Data Pipeline,' which is computer software that automatically processes the stream of data packets from the spacecraft into usable science data, including images." NASA's Deep Space Network (DSN) is operated and managed by the Jet Propulsion Laboratory in Pasadena, California.